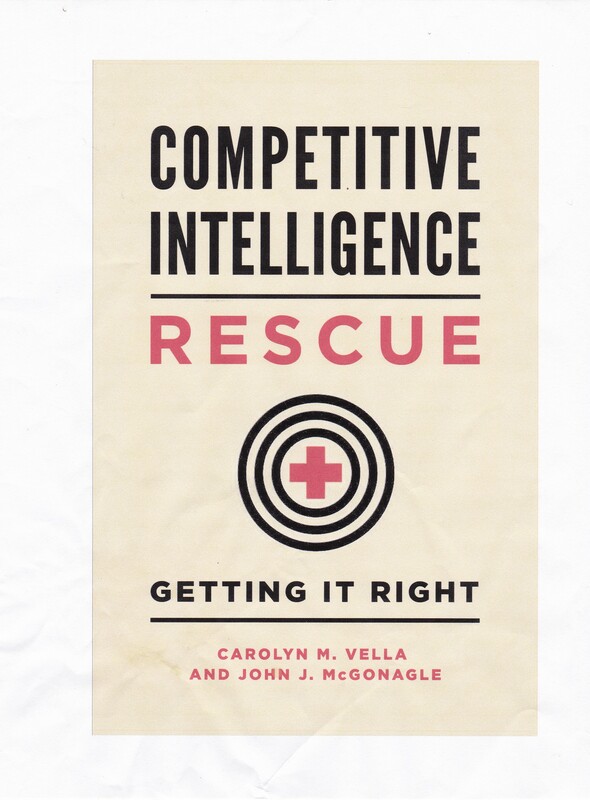 I spend a lot of time and text talking about doing a better job with competitive intelligence. One issue, not really a problem, is that there are several areas that are NOT CI, but sometimes look like it or even claim to be CI (sort of). Let me be more specific. The wide variety of names that those in CI have used has caused, and probably will continue to cause, confusion between CI and other knowledge-based activities. The most confusion is with environmental scanning, business intelligence, knowledge management, and market/quantitative research. Why should you care? Well, when you do your own CI, you want to make sure that someone does not tell you that “We are already doing that sort of thing here, so there is no reason for you to have to do it” when they are actually referring to something else. As “environmental scanning” is used today, its emphasis is on the future, not the present or the past, while CI includes the present as well as the future in its scope. In addition, its stress is heavily on data acquisition to support an early warning of problems, rather than on data collection and analysis to support a wide range of decision-making. Adding to the confusion, some CI professionals “environmental scanning” for strategic intelligence activities to give a broader sense of mission to that work. output of either of the first two. Virtually all of the reported applications and successes of business intelligence deal with internally oriented processes, from process control to logistics, and from sales forecasting to quality control. CI is heavily externally oriented. First, most knowledge/data management systems (KMSs) are essentially quantitative in focus; CI is most often qualitative in focus. Second, most KMSs are keyed to storing and manipulating data. They rarely allow precise identification of a human source(s), much less information on obtaining immediate and direct access to him/her; those conducting CI often need to be able to access the people who provided the data as well as the data. Why? Data is past; people can help you to see the future. Third, most KMSs are not set up to capture data on anything that does not involve the firm itself. Yet firm personnel, from the CEO down, interface daily with customers, suppliers, and even competitors, from whom CI can be developed. Fourth, the sales force, potentially a very powerful source of data in support of CI, is rarely involved with KMS. Finally, with respect to market/quantitative research, while CI does use some quantitative methods in its analysis, it does not do so to the degree that most quantitatively-oriented researchers do. To draw an imprecise line, market research focuses on competitors and the firm’s own interface with its customers on an historic and current basis. CI focuses on a broader horizon, including potential competitors, R&D, as well as supply and distribution chains. Finally, CI, because it is heavily forward-looking, is heavily qualitative (think “stronger”, “weaker”) in comparison with more market research and qualitative research (“up 15.3%” or “2.3 million units produced”).